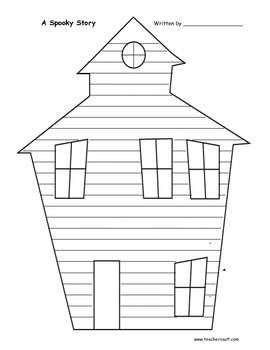 This haunted/spooky house has lines inside for students to write a short story. My other spooky story graphic organizer and final draft paper is used when students are completing the writing process. This is for a shorter version if I just want them to write something that day.